The fifth entry in Kotobukiya's up-and-coming IKEMEN series is the long-awaited head of the Batman family. the Dark Knight himself! A new original series by Kotobukiya. the IKEMEN series takes popular characters from American comics and recreates them in a unique Japanese style. From the four generations of Robin to Batman himself. these attractive statues show a novel take on the classic heroes based on art by Japanese DC Comics illustrator Ricken! The fifth entry in the series is Bruce Wayne as Batman. Naoya Mutou detailed sculpting does Ricken's art full justice through the bold and eye-catching details of Batman's strong and muscular form. You can practically feel the Dark Knight's will and determination. as he stands stoically with his arms crossed. ready to give guidance to all four generations of Robin as they protect Gotham City. Like the previous IKEMEN statues before him. Batman comes with an interchangeable head part that allows you to display him in his masked hero form. Additionally. 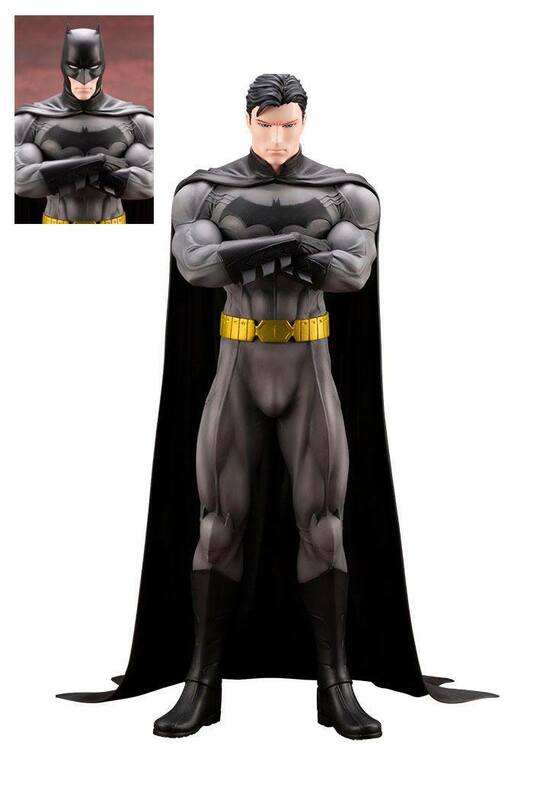 customers who purchase the first edition of the statue will receive an additional bonus head part that shows Batman with a rare smiling expression! The smiling face part will not be included in any subsequent reproductions of the statue.